March 27, 1977, the Canary Islands after a long delay, A KLM B-747 was instructed to taxi down the active runway to the take-off point. Within moments a Pan Am B-747 was also instructed to taxi down the same runway to the take-off pilot. the KLM was cleared for take-off. As the KLM was rolling down the runway to take off, the Pan Am B-747 continued to taxi down the same runway in heavy fog. 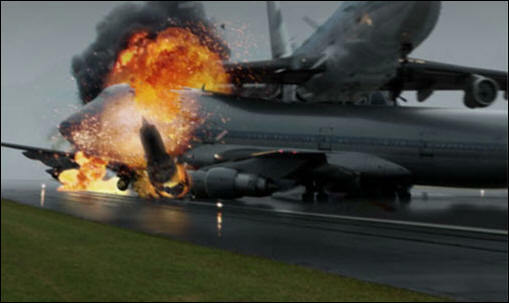 Upon the KLM rotating for take-off it came into contact with the Pan Am B747 crashing into a ball of flames killing all on board both plane. Both planes burst into flames. 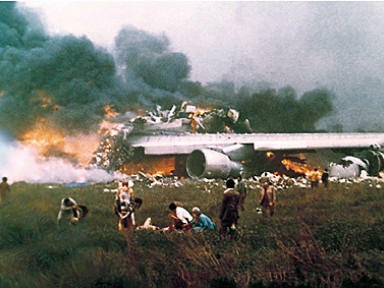 This was the worst death toll in aviation history. 583 killed out of 644. Communication Misunderstandings: Immediately after lining up, the KLM captain advanced the throttles slightly (a standard procedure known as "spin-up", to verify that the engines are operating properly for takeoff) and the co-pilot advised the captain that ATC clearance had not yet been given. The captain responded, "I know that. Go ahead, ask." The co-pilot then radioed the tower that they were "ready for takeoff" and "waiting for our ATC clearance". The KLM crew then received a clearance which specified the route that the aircraft was to follow after takeoff. The instructions used the word "takeoff", but did not include an explicit statement of whether they were cleared for takeoff. The KLM co-pilot read the clearance back to the controller, completing the readback with the statement "we're now at takeoff" or "we're now, uh, taking off" (the exact wording of his statement was not clear indicating to the controller that they were beginning their takeoff roll. The captain interrupted the tail end of the co-pilot's readback with the comment "We're going". The controller initially responded with "OK" (terminology which, although commonly used, is nonstandard), which reinforced the KLM crew's misinterpretation that they indeed had takeoff clearance. The controller's response of "OK" to the co-pilot's nonstandard statement that they were "now at takeoff" was likely due to his misinterpretation that they were in takeoff position and ready to begin the roll when takeoff clearance was received, but not actually in the process of taking off. He also most likely hadn't heard the captain's announcement that they were "going", since van Zanten had said it so soon after the co-pilot's readback. Aware of the possible misinterpretation, the controller then immediately added "Stand by for takeoff, I will call you", indicating that he had never intended the clearance to be interpreted as a takeoff clearance. 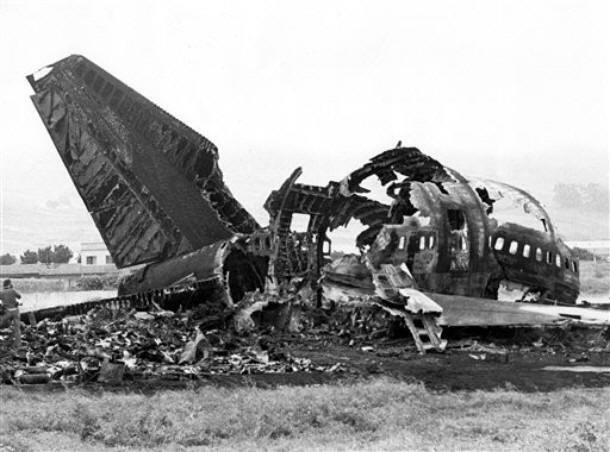 However, a simultaneous radio call from the Pan Am crew at that precise moment caused mutual interference on the radio frequency and all that was audible in the KLM cockpit was a heterodyne beat tone, making the crucial latter portion of the tower's response inaudible to the KLM pilots. The Pan Am crew's transmission, which was also critical, was reporting that "We're still taxiing down the runway, the Clipper 1736." This message was also blocked by the heterodyne and inaudible to the KLM crew. Either message, if broadcast separately, would have been audible in the KLM cockpit and given the KLM crew time to abort its takeoff. After the KLM plane had started its takeoff roll, the tower instructed the Pan Am crew to "report when runway clear". The crew replied: "OK, we'll report when we're clear". On hearing this, the KLM flight engineer expressed his concern about the Pan Am not being clear of the runway by asking the pilots, "Is he not clear, that Pan American?". However, the captain emphatically replied "Oh, yes" and continued with the takeoff.